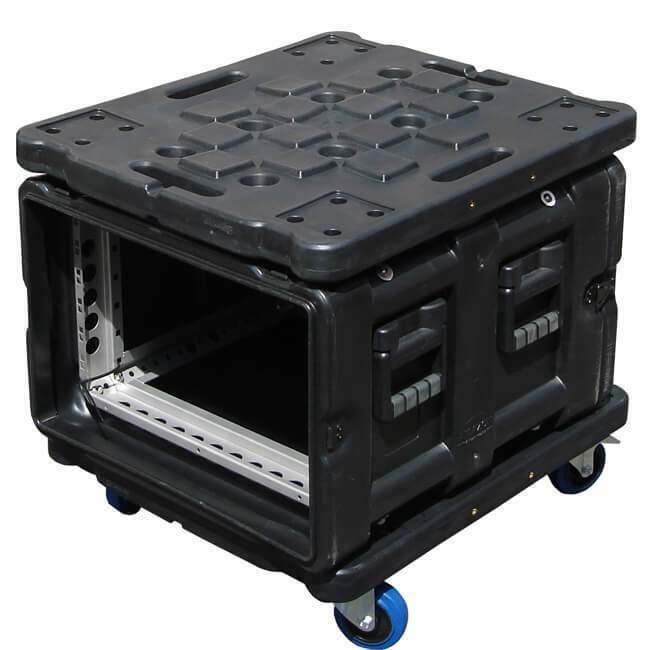 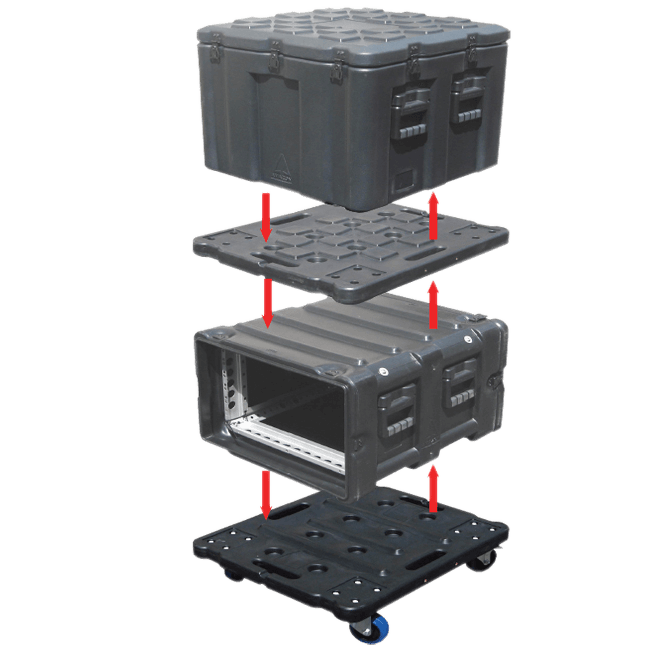 The Interstacker for Amazon cases & racks creates an interface to allow 19 inch racks to be stacked on top of cases and can be reversed for cases to be stacked on to racks.The Amazon Interstacker is rotomoulded from polyethylene for strength. 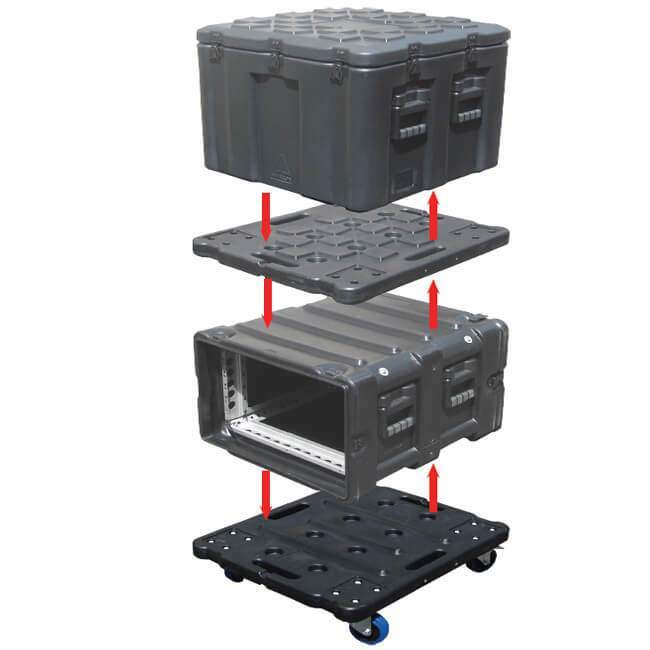 It is also corrosion proof and resistant to solvents and acids. 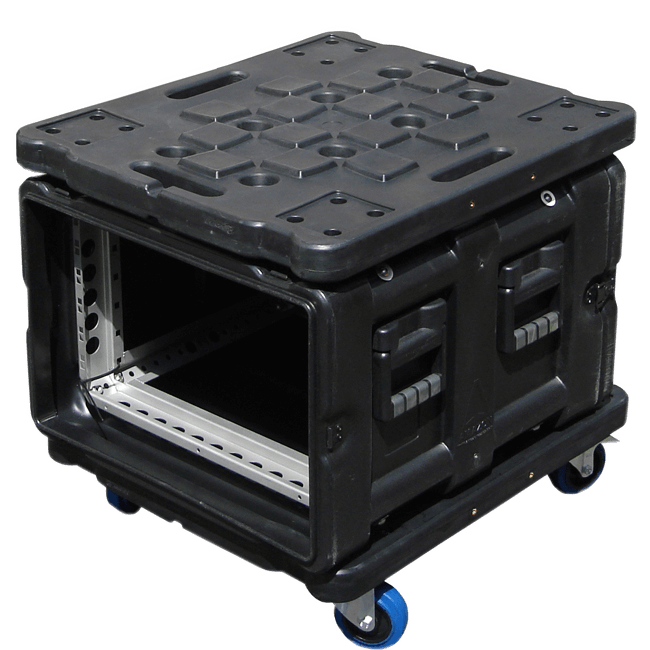 Because the colour is moulded throughout, the appearance is retained if the Interstacker is scratched. 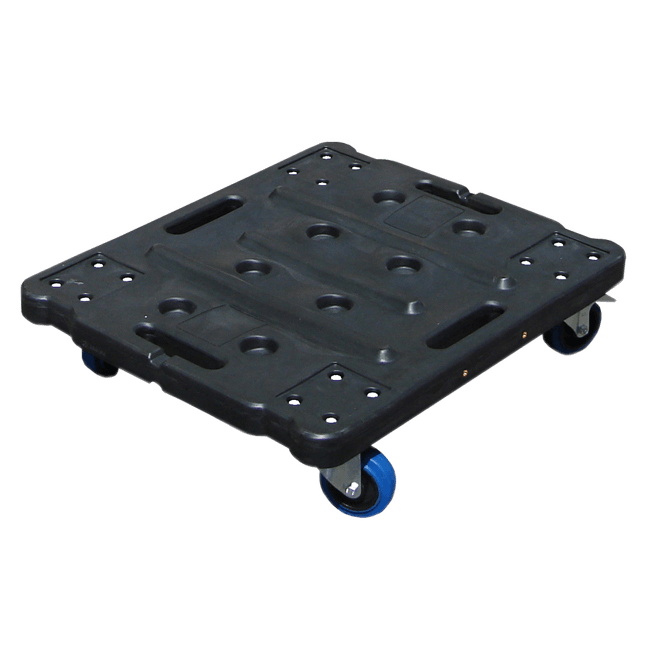 The Interstacker can be fitted with 4 castors to create an Amazon wheelboard capable of carrying loads of 250kg (500lb). 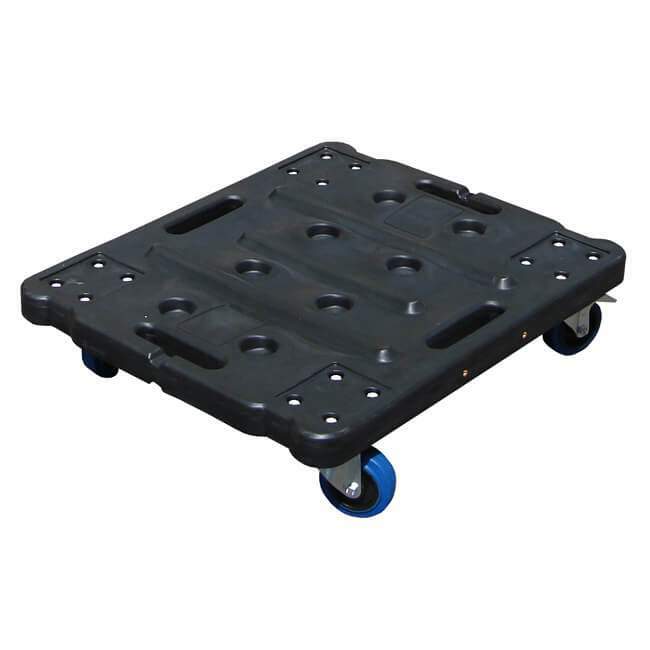 The wheelboard can also be reversed to fit either a rack or a case.Additional features include a handgrip to allow easy manoeuvrability and linking straps to secure racks to the Interstacker and the wheelboard.